Invisalign is a revolutionary way to achieve the straight, beautiful smile you deserve without wearing metal braces. 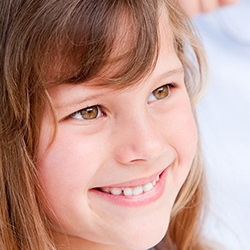 With Invisalign, your orthodontic process is comfortable, simple, and discreet. Invisalign works by using a series of custom-designed aligners that fit over your teeth and gently guide your teeth to their proper positions in the mouth. 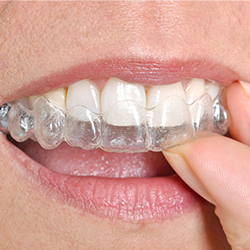 Invisalign aligners are made of smooth, clear plastic that is virtually invisible when you are wearing your aligners. You will switch out sets of aligners about every two weeks to continue adjusting the alignment of your teeth until you achieve your ideal smile. You will also visit us at Transcend Dental approximately every six weeks for a checkup with our caring dentists, Dr. Sajid. Invisalign is a great choice for patients who would like to discreetly, comfortably straighten their teeth. Invisalign aligners can be easily removed for eating, flossing, and brushing, making it easy to maintain good dental hygiene during orthodontic treatment. 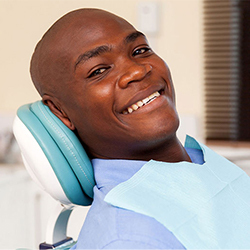 Invisalign in Royersford, Pennsylvania, can be used for a number of orthodontic problems, including crowded teeth, crooked teeth, and gapped teeth, as well as several issues with the bite alignment, such as overbite and underbite. We welcome you to contact us today to learn more about Invisalign and to schedule your consultation at our office. 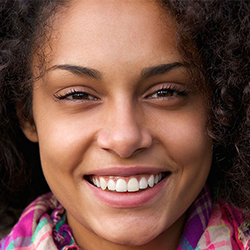 We look forward to helping you achieve a straighter, healthier smile!